Delayed by a few days due to Hurricane Arthur, Graceful Bakery opened today (Monday, July 7 2014). It is located on Back Rd. adjacent to the Back Porch restaurant. 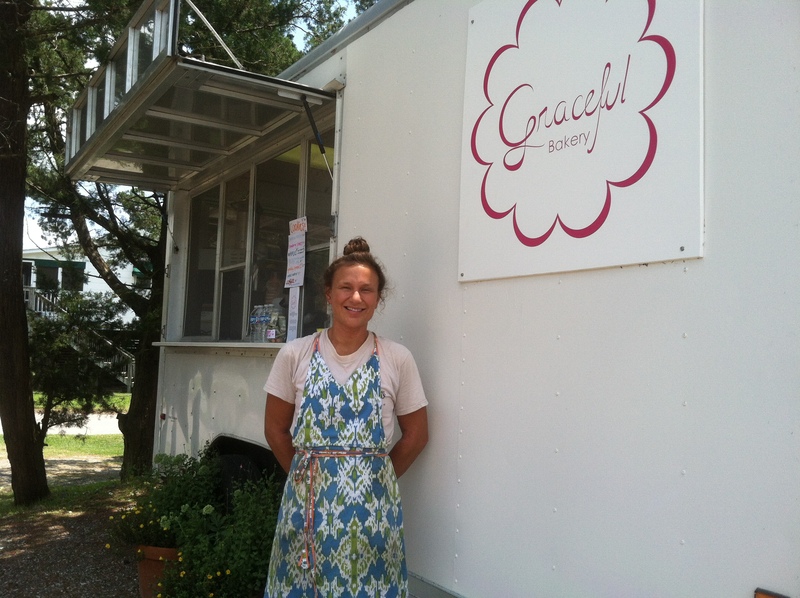 Welcome Graceful Bakery baker/proprietor Lauren Strohl.